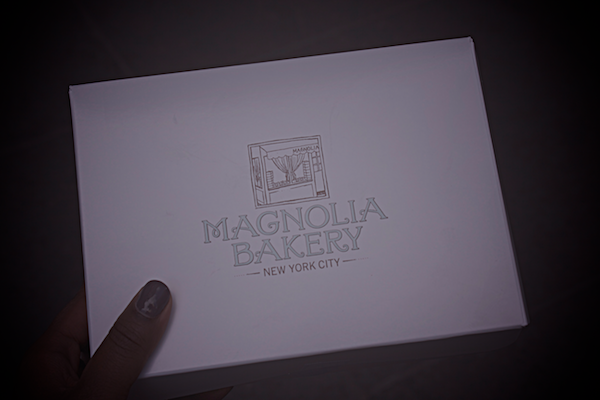 We were told (a lot) that you can't go to NYC without getting a cupcake from Magnolia Bakery! Did you try the banana pudding? "To die for" hardly does it justice. 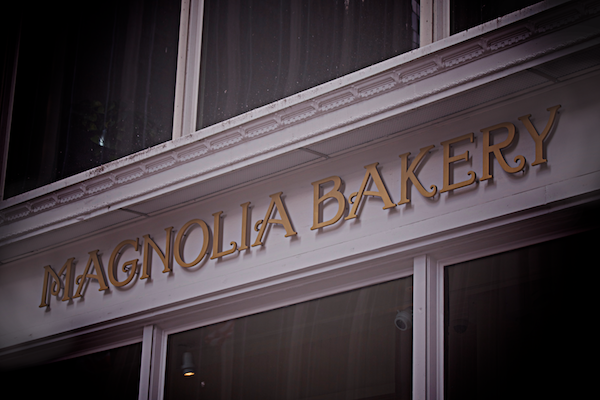 My first NYC apartment was just around the corner from Magnolia--luckily, the horrendous lines dissuaded me from going TOO much! I didn't actually get a cupcake when I was there in July (not a big fan of sugary sweet frosting) but I loved looking at all the adorable cupcakes, especially the 4th of July ones :) you're looks picture perfect!! So happy they opened one in LA!! Soooo good!!! Cupcakes look delicious. If you're ever in L.A. make sure to visit Sprinkles in Beverly Hills and Big man cakes. Their cupcakes are great! i skipped Magnolia bakery and went to ButterLane and Sweet Revenge instead. Camels & Chocolate - We didn't know about the banana pudding until after we left! Oh well, next time. PoetessWug & Holly - Honestly, they kind of tasted like they were made with a cake mix and the frosting was a bit chemical-y tasting. 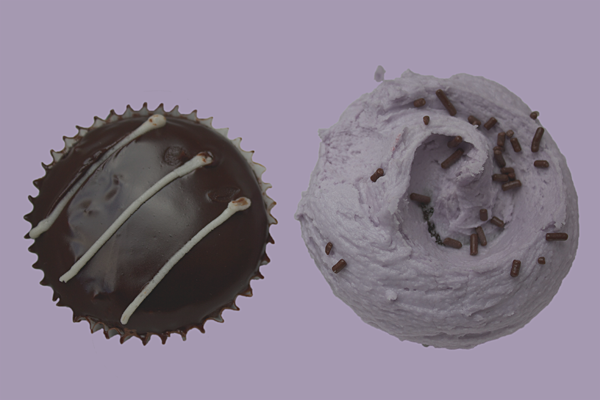 We've had cupcakes from bakeries that make everything from scratch and obviously those are a lot better! They were pretty though... and our line up wasn't too bad. the cupcakes are ok but they do get credit for kind of starting this cupcake craze. their banana pudding on the other hand....yum. 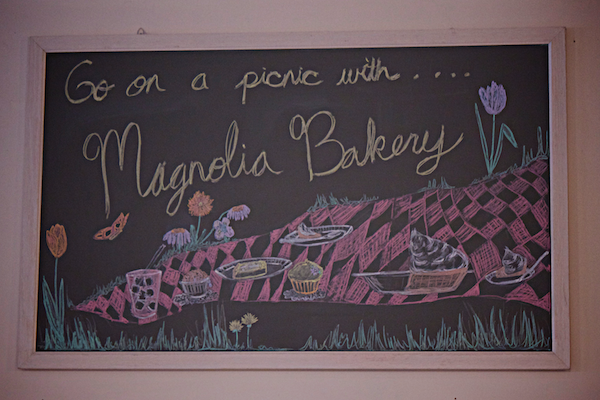 Ohhh Magnolia Bakery. That cupcake looks magical. I love their red velvets! 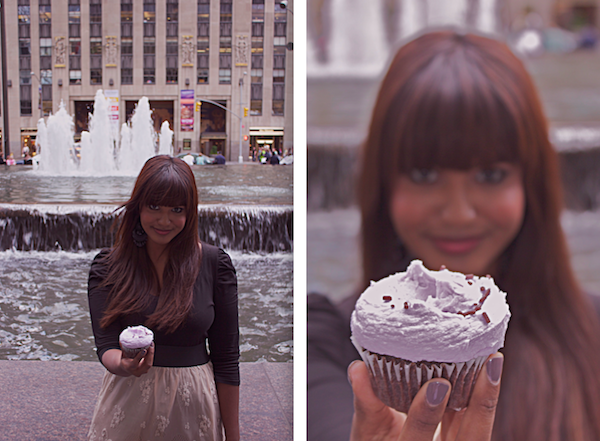 We always stop at the Cupcake Cafe on our way through NYC...next time well have to head to the Magnolia Bakery, too. 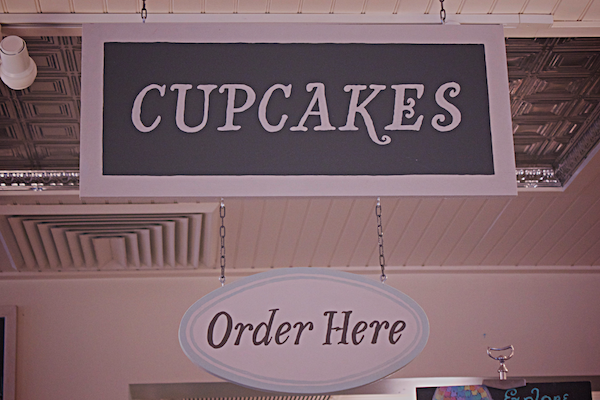 You can never have enough cupcakes! This is going on my list - definitely!